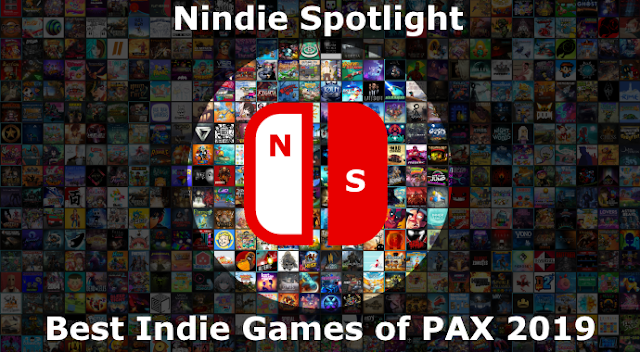 While there are many genres represented on the Switch, most with quality titles representing them well, something I don’t recall a great number of titles having is heart. If I heard someone marketing a game as being “full of heart” I think I’d probably gag but when you come across a game where it just screams out to you with a certain spirit I think it’s an apt descriptor. 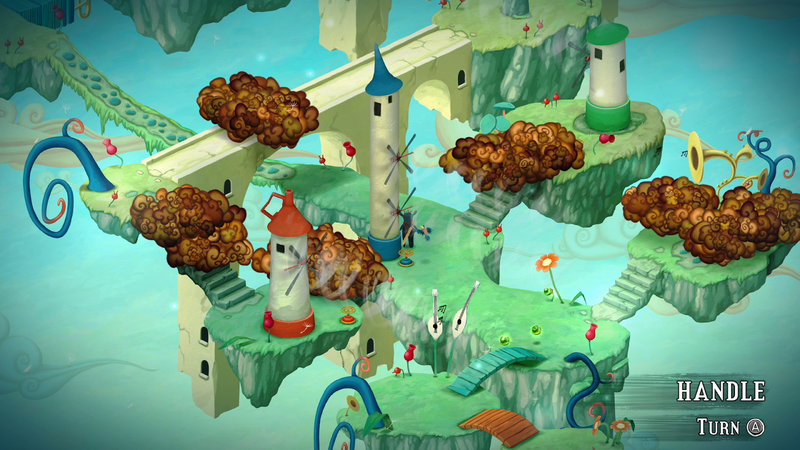 Perhaps it’s the parent in me but aside from the gorgeous artwork and inspired original music in Figment it’s the game’s story and isolated moments that made me reflect that will likely stay with me for quite some time. The game opens with a child and his parents talking while they’re driving somewhere in the rain. Somewhat suddenly there’s a crash and that when you’ll find yourself inside the mind of the father, taking on the father’s reluctant and jaded personification of courage, Dusty. Through his adventure Dusty will face a number of nightmares of various kinds as well as a fair amount of philosophy about existence, loss, despair. The blending of these themes with humor, some original songs, and the various memories you can recover along the way make for a unique experience, but also one that may be hit or miss depending on a number of factors in your own life. I would imagine older gamers, especially parents, will be far more likely to appreciate all of the game’s themes and I applaud the care and effort that went into crafting this unique narrative. 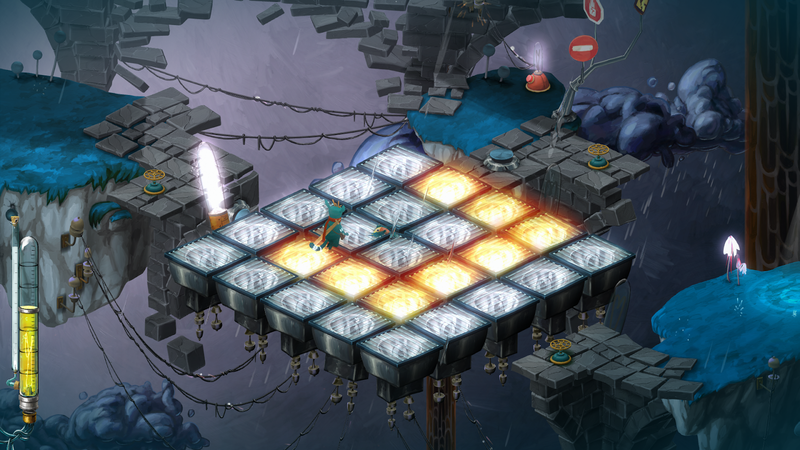 In terms of the gameplay itself for the most part Figment is fixated on puzzles. As you progress through the game’s few worlds, slaying the nightmare bosses in each, you’ll face a variety of challenges. Many are quite straightforward, requiring that you move around batteries or handles around to manipulate various elements in the environment. In addition each zone has its own sort of theme as well, ensuring that throughout you’ll continue to see some variety along the way. None of it is terribly difficult, but to spice things up you’ll see memory fragments off to the side as well, tempting you to put in some extra effort to collect them all as you go as well. Patience and perseverance most often win the day, at times perhaps slowing things down and repeating general puzzle patterns too often, but I generally enjoyed each one along the way. There is some combat but for the most part it is forgettable and serves more to break things up than to specifically challenge. That said, each of the boss fights tended to be memorable and thoroughly different so it at least redeems itself nicely where things are most important. 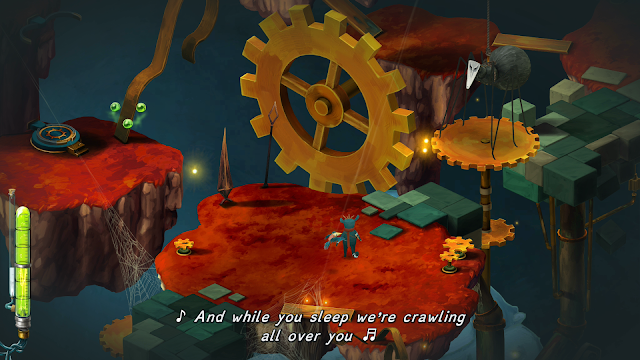 Even though it’s the art and music that make the game so unique I can imagine results for people in those areas will vary. The visual style should likely impress just about anyone but I can concede that if you’re not enthused about the journey some of the songs may feel a bit silly. There’s a quirkiness to their sound and lyrics that I thoroughly enjoyed but it may not be for everyone and if those elements fall a bit flat they’ll tend to bring the game as a whole down with it. 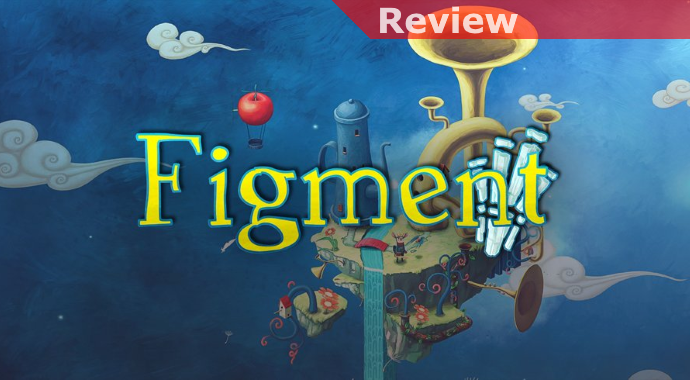 The overall experience is all about the intertwining and appreciation for all of the game’s pieces together, anything that gets in the way of that will just dilute your enjoyment. In the end I see Figment being the sort of game that may vary wildly in how people feel about it. If you’re in tune with its themes and embrace everything it has to offer it’s really a beautiful and brilliant title, daringly doing everything its own unique way. If some of the elements just don’t pull you in it may play out very differently though. On the strength of its creativity and earnestness I happen to be a big fan and I’d encourage everyone to at least give it a look, it’s a pretty unique experience on the Switch.